Candor Arts is thrilled to announce the forthcoming release of Cultura y Communidad, a book compiled by co-founders Lauren M. Pacheco and Peter Kepha with co-organizer Edward 'Magic' Calderon of Slow&Low: Chicago Lowrider Festival. It will be produced in a hardcover clothbound edition of 200 copies. This publication is concerned with documenting the existence of a Midwestern Lowrider culture, stories and histories. In partnership with Candor Arts, a retrospective monograph as presented by the Pilsen-based Slow&Low: Chicago Lowrider Festival that celebrates both identity and objects through visual and physical representations in order to forward the argument that the expression of identity is the telos of Lowrider art and culture. The festival's co-founders Peter Kepha and Lauren M. Pacheco, along with a team of collaborative creatives and academics—Edward ‘Magic’ Calderon, Max Herman, Matt Austin, Dr. Ben Chappell—were 2018 Propeller Fund recipients. Propeller Fund is jointly administered by Gallery 400 and Threewalls and funded through the generosity of the Andy Warhol Foundation for the Visual Arts. In 2018, Lauren M. Pacheco received a research grant awarded by the National Association of Latino Arts and Cultures (NALAC) in support of documenting and celebrating collective creative practices and the artistic expression evident in Lowrider community and culture. In partnership with BOOMBOX, Chicago's first shipping container pop-up shops developed, designed and built by a woman owned team, Slow&Low will curate a week-long pop-up showcasing art and vintage objects as well as other curiosities from August 20th - August 27th at 725 West Randolph Street (corner Randolph and Halsted). This site is presented by Related Midwest, EQUINOX and LatentDesign. Pre-orders for this book will be available at this year's festival. 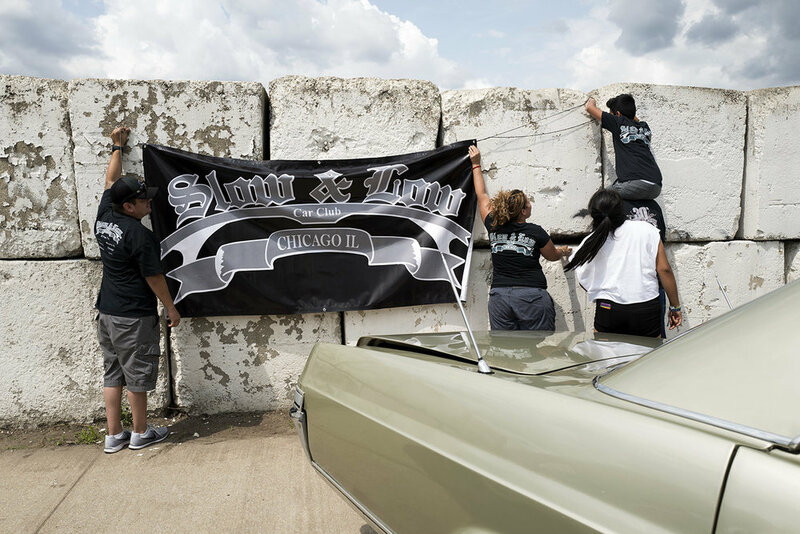 Slow&Low is a curated one-day outdoor street-based festival celebrating Lowrider culture—master craftsmen, innovative mechanics, custom pinstripers, muralists and other enthusiasts who contribute to the overall visual aesthetics of a thriving Midwestern sub-culture. Not to be confused with an auto show, this community-cultural event presents and explores notions of car culture as an authentic form of folk art in the public sphere—a way of celebrating beauty, self-expression and worth. In 2017, over 5,000 people, young and old, walked a street filled with vintage and stylized automobiles and bicycles, danced to local deejay talent spinning hip hop, house, rockabilly and soul, and watched as cars hopped and cruised and were entertained by mariachis, folkloric dancers and a marching band. 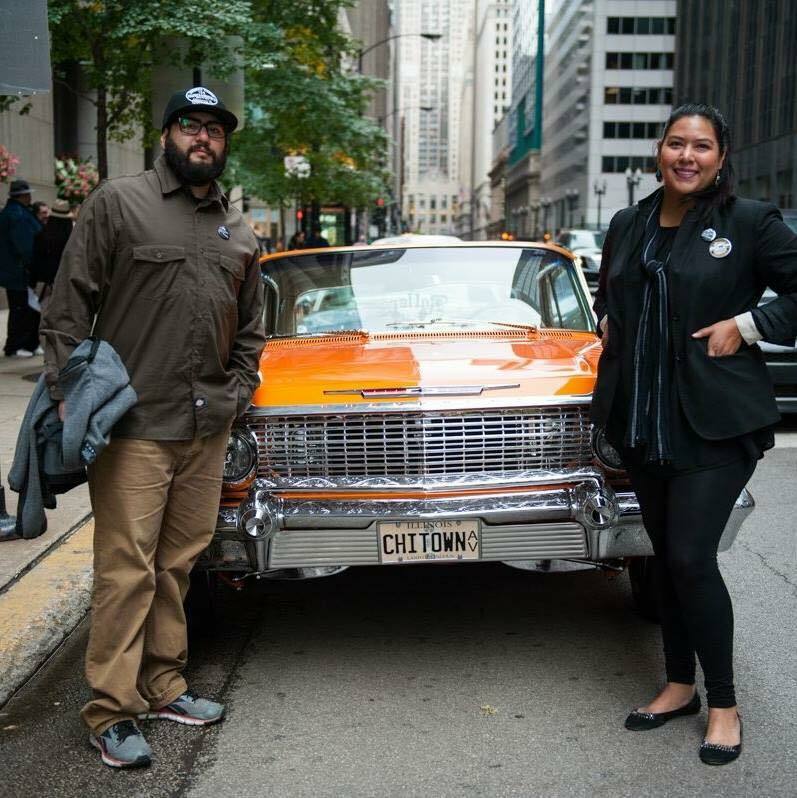 Slow&Low: Chicago Lowrider Festival is co-founded by siblings—Peter Kepha and Lauren M. Pacheco. Both are third-generation Mexican-Americans born and raised in Brighton Park, a community on Chicago’s southwest side and proud Chicago Public School graduates. Their history runs deep in Chicago's communities having parents hailing from Pilsen and LeClaire Courts public housing in Archer Heights.